Honey and lemon juice can be combined to make a natural solution for hair removal. Together, honey and lemon juice form a sort of wax that can be applied to the skin and lifted away to remove hair from the root. 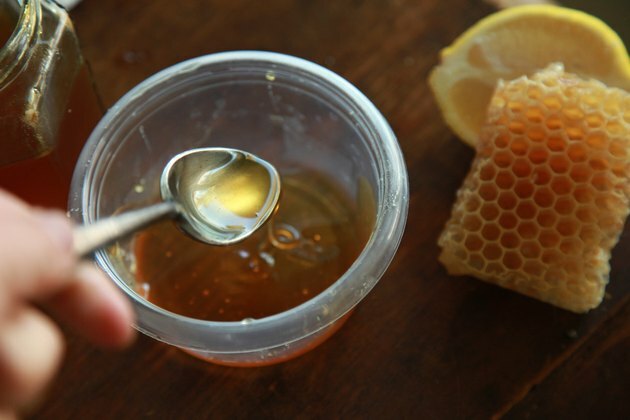 While you can buy honey- or sugar-based waxes, this mixture can be made at home inexpensively. Similar sugaring waxes have been used throughout the Middle East for centuries. 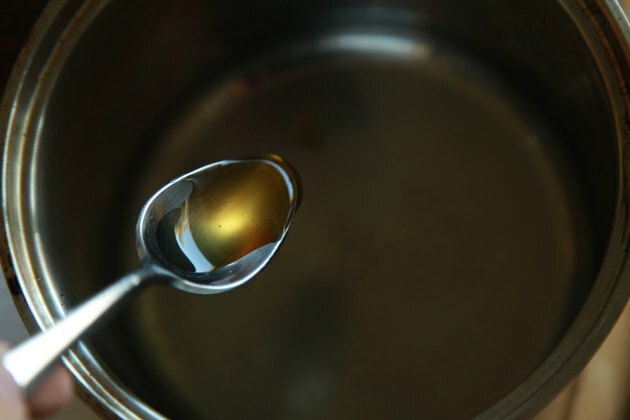 Combine the honey and lemon juice in a saucepan. Bring to a boil over medium heat, then simmer for approximately 15 minutes. When the mixture darkens and thickens, remove from heat. If you are familiar with candy making or are using a candy thermometer, this should occur at the soft boil stage or 238 degrees F.
Allow the mixture to cool briefly in the pan before transferring to an airtight plastic container. Cool to room temperature or use warm with muslin strips. Use your fingertips to gather a handful of the cooled wax. Flatten and stretch it between your palms to 1/8 inch to 1/4 inch thick. Press onto your skin. Flick up an end, then-- holding your skin taut -- pull away from your skin. Remove the wax in the direction opposite your hair growth. Fold the wax over and flatten again for use on another area of skin. Warm honey lemon wax in a pot of hot water or your microwave if you prefer to use muslin strips. Test to make certain that it is not too hot, and spread a thin layer on the skin with a spatula or tongue depressor, recommends HowtoSugarWax.com. Press a strip of muslin down on the wax and leave in place briefly. Pull the muslin and wax away from the skin in the opposite direction of your hair growth. Repeat to remove remaining unwanted hair. Discard used honey-lemon wax or muslin strips after use. Wash with warm water to remove any residue from the skin. Leftover wax may be stored in an airtight container at room temperature or eaten as a sweet, lemony snack. Honey-lemon waxing can be quite uncomfortable. Try this on less sensitive areas, like the legs, before attempting to use it on the bikini line or underarms. Redness after waxing is common but should disappear within a few hours. Can You Slow Down the Growth of Facial Hair With a Home Remedy?